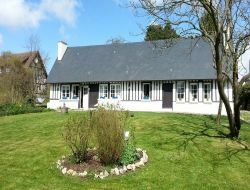 Your holidays close to Rouen in Seine Maritime, Normandy: Studio of 33 m ² in a property of 5000 m ² entirely enclosed and reassured. 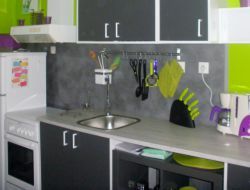 This accommodation includes fully equipped kitchen, bathroom with Italian shower, separate wc. At your disposal free for your first breakfast, coffee, milk, tea, chocolate, bread, butter, jams, fruit basket. 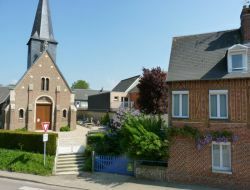 Sleeps 4 people (1 bed 160 and 2 beds 80). Free WIFI. 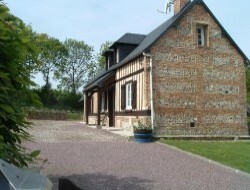 Come to have a stay at the heart of Pays de Bray in Normandy. 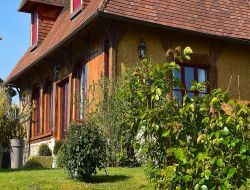 The gite is situated in a quiet and restful environment in 20mn from Dieppe, 30mn from Rouen (city of art and history), 1h from Honfleur. Dominique and Corinne welcome you in their former house dating the 18th century, renovated and modernized by a capacity of 4 people. Come to find quiet, ressourcement and well being, between earth and sea, in our gite situated in Fécamp city of art and history. You will spend pleasant moments in our fisherman's house of 40m ², renovated, being able to welcome 4 people, in 100m from the port of Fécamp, the beach, in 300m from restaurants, in 800m from the city center and the station. We welcome you to revitalize a stay in a comfortable cottage with ground floor combined with our house. 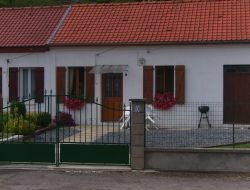 Gite for 2 / 3 people, quiet, river, song birds, garden. Beach at 4 km, between Dieppe and Veules the Roses (12km). 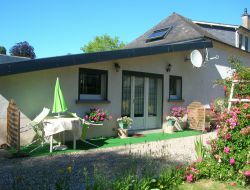 Holiday home for 3 people, situated in 10mn of Mers les Bains, Le Treport and its funicular, Blangy sur Bresle, in 30mn from St Valery sur Somme famous for its seals. Closed courtyard, shops in the village. 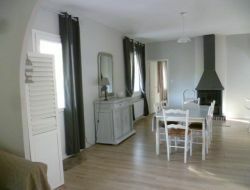 Holiday cottage in 800m from the beach in Seine-Maritime, in an attractive village of the Alabaster coast. We welcome you in this adorable house of 80m², situated in a very quiet street, close to the casino, the tennis courts, the boating center. Living room with insert offering a big space, 2 bedrooms, flat screen tv and WiFi, kitchen. Terasse with garden furniture and parking lot. 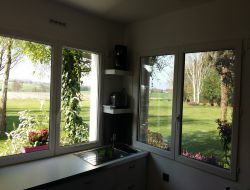 Gite in a detached house with equipped garden and many activities nearby. Beach - Forest - Water sports.